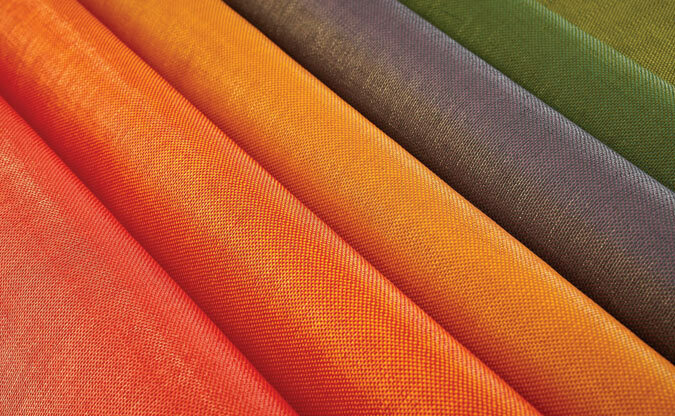 To celebrate its 30-year anniversary, Carnegie is rolling out 71 new colors to diversify its classic Meteor fabric panels, which are also suitable for upholstery and wall coverings. Panels are woven of inherently flame retardant yarns and are Cradle-to-Cradle Silver certified. The new color options are grouped into four categories: primary brights (pictured), dusty hues, deep darks, and new neutrals.